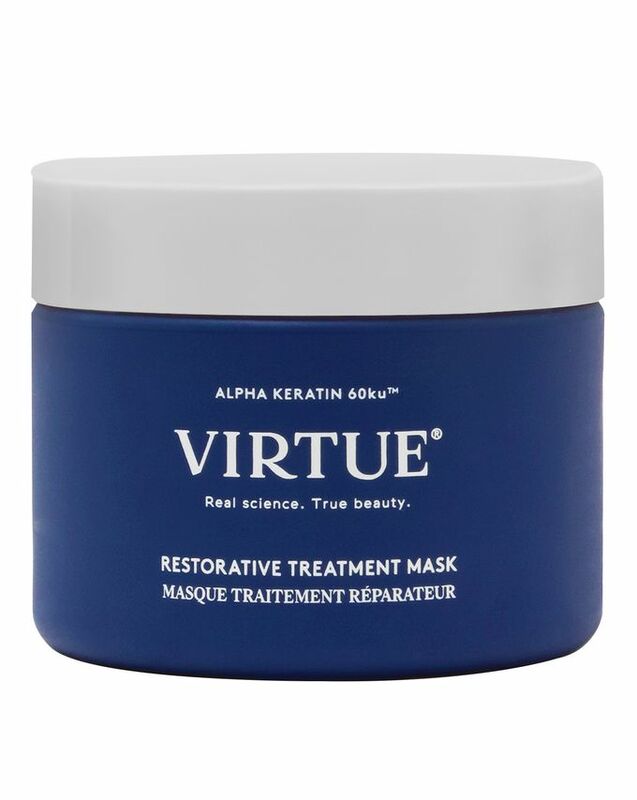 After spending decades in the beauty industry, Virtue’s founders thought nothing could surprise them – until they found Alpha Keratin 60ku, a transformative protein that’s identical to the keratin in your own hair, meaning it binds directly to areas of damage and fills them (without weighing strands down). A luxurious, deeply hydrating treatment mask, this actively rehabilitates hair in need of extra care, immediately infusing shine, moisture and resiliency, leaving locks bouncy, vibrant and beautiful. A true innovation in hair care, Virtue’s advanced formulations are enriched with Alpha Keratin 60ku, a whole, human keratin born from regenerative medicine. Since this is identical to the keratin in your hair, the protein is instantly recognised, binding directly to areas of damage and filling them – not just coating strands or weighing them down. Uniting this advanced protein with a host of other powerful ingredients, this luxurious, deeply hydrating treatment mask actively rehabilitates hair in need of extra care, immediately infusing shine, moisture and resiliency, leaving locks bouncy, vibrant and beautiful – one of our beautiful buyers compared it to ‘a hug for your hair’. Brown algae extract provides further repairing powers and heat protection, aramanthus seed extract (a plant-based protein) enhances colour, moisture retention and shine, baobab seed oil provides rich, silky moisture and artichoke leaf extract preserves cuticle cohesion and helps to protect hair from environmental aggressors. The ultimate treat for stressed tresses, this mask smells as good as it does, fragranced with a rich, nurturing blend of fresh woods and clean citrus formulated with coconut and yuzu extracts. After cleansing hair, remove excess water and apply a generous amount, distributing evenly through hair. Leave on for 2-3 minutes. Rinse well. For best results, use once a week (or as needed) as an intensive treatment after shampooing. Received this mask in my goody bag and oh my god, I’m blown away. My hair is silky and smooth, like after salon treatment and far less frizzy. So good that I’ve ordered biggest size with out minding the price. So I tried this hair mask, as it was part of the February Goody Bag. It has a very nice smell (as long as you like coconut) and it makes you hair look smooth and shiny. But it is way over priced. It’s really just okay, no maybe less than okay. My hair didn’t feel like I’ve just used a mask. It was still dry. I didn’t like it. What a great product with an incredible smell! I bought this mask after it was recommended to me by a friend, as I was looking for a product that would help restore my dry hair after the summer. This mask has done the job well, it smells divine and leaves the hair feeling soft and silky. The only negative is the value for money, the pot is quite small and I finished it very quickly as my hair is quite long. I have highlighted dry hair and am huge fan of Elasticizer but sometimes haven't got the time for it to do its magic. However this product you only leave on for a few mins and it sinks into the hair beautifully. Highly recommended to have shiny hair again. This mask leaves my hair feeling soft and with good elasticity. I compare it to the Philip Kingsley Elasticizer. Really disappointed. I have fine hair and this really weighed it down, even though I used a tiny amount. Small tub just not worth the money, over hyped brand. This was a nice hair mask- left my hair soft and silky. It wasn’t mind blowing, but a very nice hair mask. Smells nice, and I liked the texture. This product is awesome, it works quickly and leaves hair soft and silky, not heavy. I received this product in Cult Beauty goody bag and ordered the full size right away! Smells divine, leaves my fine hair smooth and shiny! Очень завышена цена. Маска придает блеск натуральным волосам и разглаживает их, но очень маленький объём и высокая цена. ***Very overpriced. The mask gives shine to the hair and smooths them, but a very small volume for a high price. this delivered on everything it promises. My hair felt silky and when dry I had no frizz. I have very damaged hair and this really does work wonders! I've tried various masks that have promised shiny repair but I've often been disappointed. I read about this and frankly I'm impressed. It feels good on applying, you feel it's going into the hair, when washed out you can feel the difference. Ok, it's not cheap but in this case you get your money's worth. The best hair mask ever!! I have long dry hair and this moisturizes my hair without weighing it down and gives it this "poofy" gorgeous look. I've seen significant improvements to the overall health of my hair after I started incorporating this little marvel into my routine. My hair just looks happier! Not that good, not worth the money. Thought this product would be worth the money. Way over priced, smaller tub than I thought. To be honest was nice but Cheaper off the shelve product at a fraction of the price does the same job. Would I recommend? NO. This Restorative Treatment Mask is incredible. It leaves my hair nourished without weighing it down. It makes my hair look shiny and healthy. 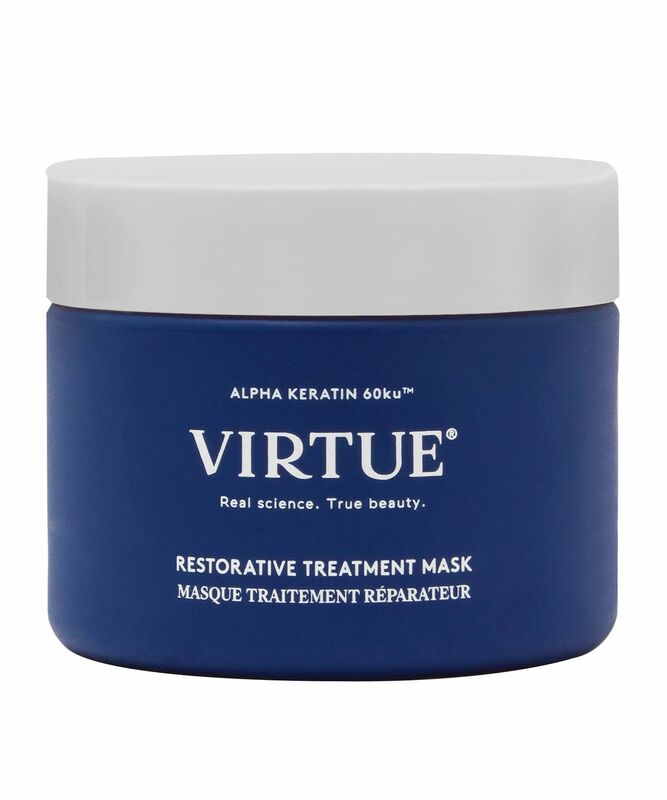 I have been asked by colleagues which hair products I use the Restorative Treatment Mask and Virtue hair care is my recommendation of choice. I also purchased the Restorative Shampoo and when used with the mask it gives exceptional results. They are now my regular shampoo and conditioner.